I was doing my visiting teaching a few weeks ago and saw a candle stick like this at one of my gal's homes. I thought it was cute enough to reproduce and this is what I came up with. 1. 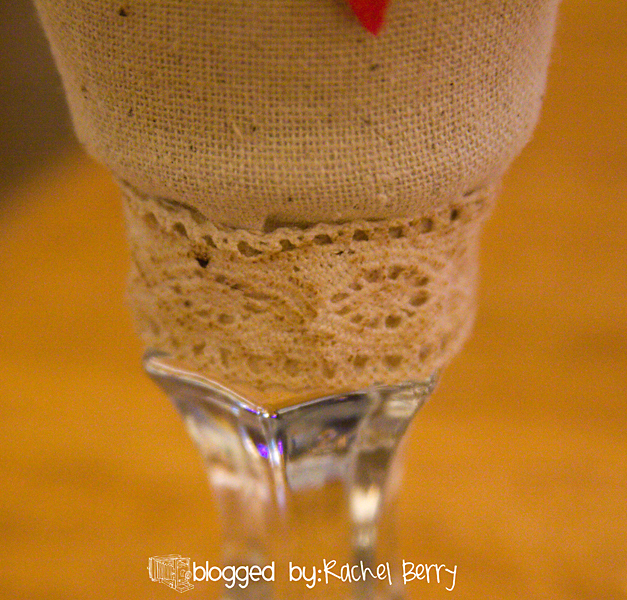 Supplies: Dollar Tree Glass Candle Stick Holder, Scrap Fabric, Old Buttons, Lace, Glue gun, Fiberloft Stuffing, Sewing machine, Embroidery floss, Ric Rac, (you can use what ever you want) & Tea for staining. 1. 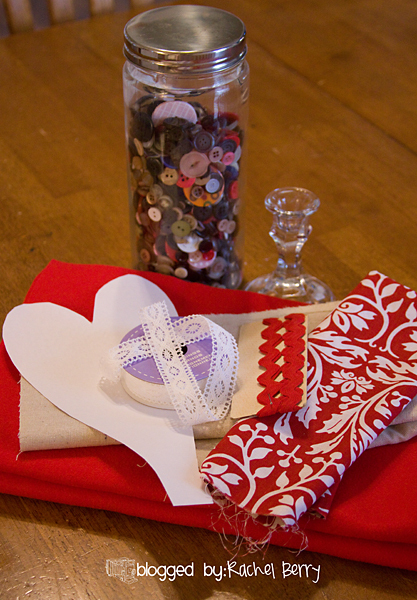 Free hand a heart on your fabric and cut out. I used a fabric pen to draw on my fabric. 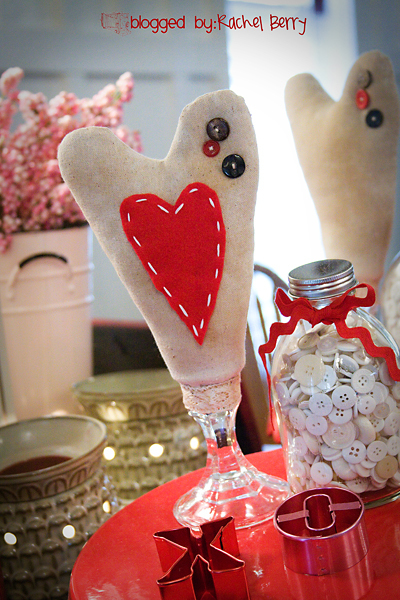 MAKE SURE YOU WIDEN THE BOTTOM OF THE HEART so it will fit over the rim of the candle stick holder. As show in below photo. 2. Sew around your heart, then clip all your curves. 3. Tea stain and then stuff your ♥ out (pun intended). Cheesy I know, but it's late. 5. 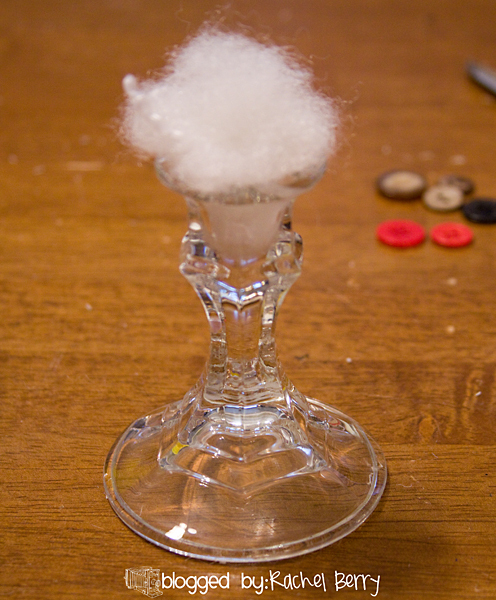 Hot glue a little stuffing in your candle stick holder. 6. Then put your stuffed heart on the candle base and pull your basting strings to tighten fabric around neck of candle stick. Tie it off tight. I would have added a picture here but sadly I only have 2 hands. I even added a little dab of hot glue to make sure my knot wouldn't go anywhere. 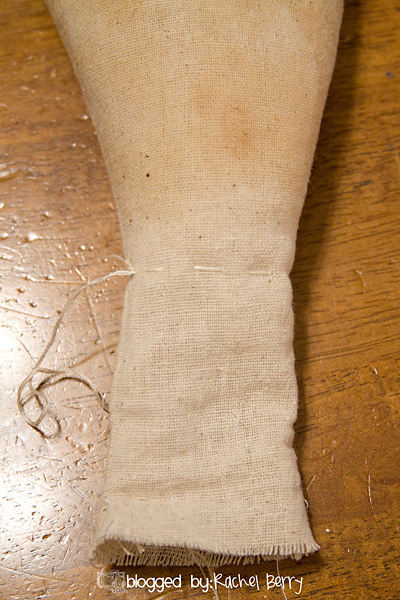 Then cut off any excess fabric below your knot. 7. 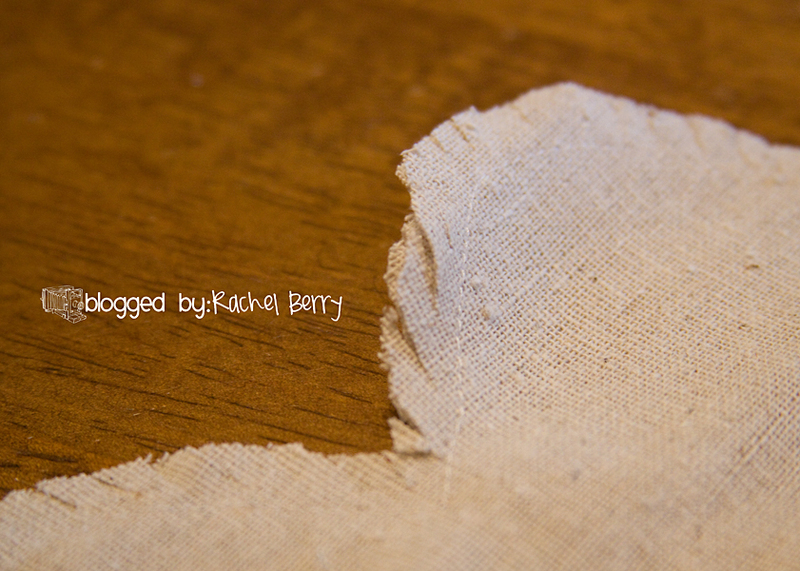 Next hot glue - Tea Stained lace (or ric rac) around base to hide your fabric line. 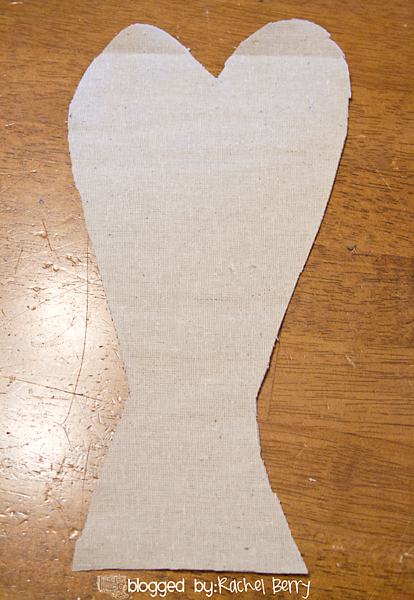 Next time I will not make the lace tight around the base I'm going to make it Pleated. 8. And last but not least sew on a few buttons and you are done! I plan on making at least 2 more, but using different heart shapes so they will all be at different heights. Sorry if this isn't much of a tutorial, I hope you could understand the steps as I'm pretty sure they are as clear as mud. Okay I'm all ♥'ed out, I better catch some shut eye! These are adorable! LOVE them. It is adorable. I love it. I actually have a candle stick from the Dollar Tree. I think I will be making one today. BTW~Thanks for sharing the great tutorial and wonderful idea. So stink'n cute Rachel. Love them! You are amazing. Rachel that is SO cute! 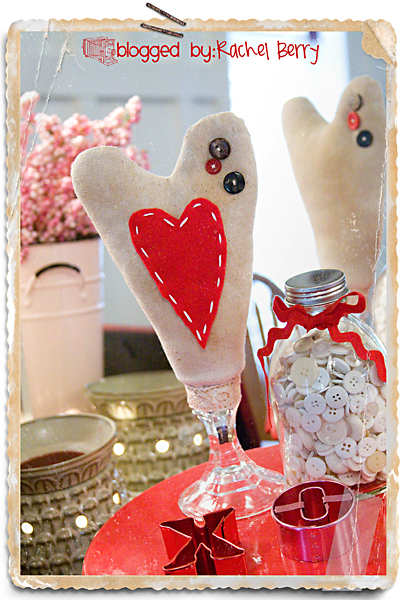 Love the idea... now can you shoot me an email and tell me how to add red hearts to my posts?? <3 them! This is SUCH a cute project!! Such a cute and unique project. I love it and the way you've displayed it all. Those red cake stands are adorable! Thanks for the tutorial! ahhhhh...cute and reusable! how sweet! Rachel, I love it! Totally cool looking...lexi was looking with me and wants to make one...so we shall cut hearts this weekend. You come up with the cutest ideas... I LOVE it! Those are so cute, Rachel!! Love them!! That is so cute! I love it!! Thanks for posting, your hearts are really cute! Thanks so much for the tutorial. Love the hearts.